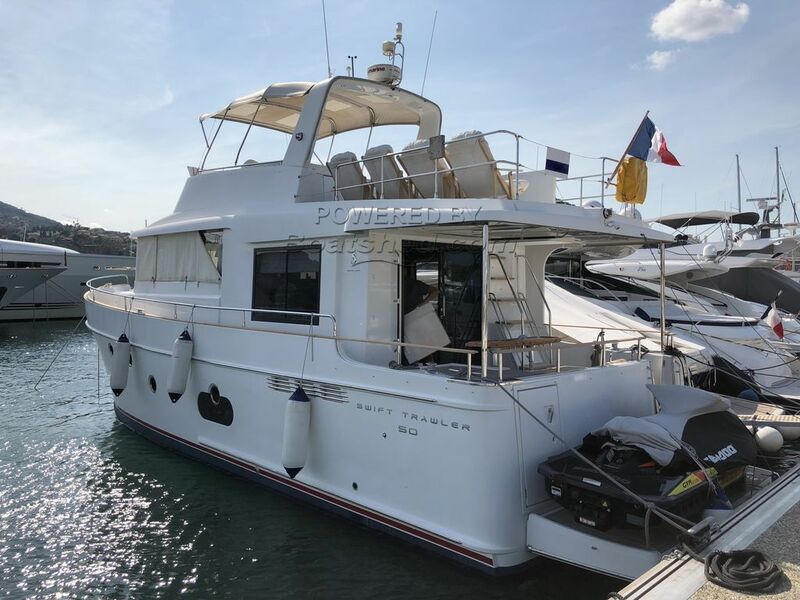 This Beneteau Swift Trawler 50 is a must see. She comes with Volvo D6 of 435 hp each. She sleeps 9 in 3 cabins and she is simply in a new condition. The cockpit is very well equipped with 3 fridges, 1 cooker, 1 freezer, one oven, one dishwasher, 1 washing machine plus 1 dryer both Miele. This Beneteau Swift Trawler 50 has been personally photographed and viewed by Edward Kay & Antoine Perrin Daragon of Boatshed Riviera. Click here for contact details.